If You Do Not Ascend To A Spiritual Degree…. Torah, Deuteronomy 28:32: Your sons and daughters will be given over to another people, and your eyes will see [this] and long for them all day long, but you will be powerless. The Torah lists the losses that are expected at different levels if you do not ascend to one or another spiritual degree. You could connect with your friends and with your people and make a common Kli (vessel) in which the Creator would be revealed. Instead, new opposite qualities are revealed to you and you lose everything that you had. 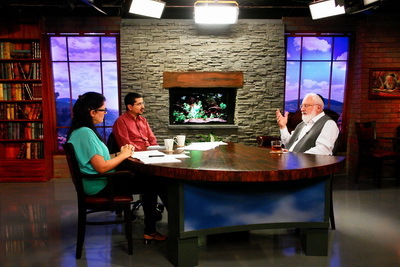 Question: What is creation according to Kabbalah? There are desires on the levels of the still, vegetative, animate, and speaking, and the levels of intention are determined accordingly. Question: What is the difference between intention and desire? Answer: The desire is awakened in us by the upper Light, and the intention is the manner in which we use our desire. Question from Facebook: Today we see the active participation of Jews in the movement against Israel. Why is this happening? Answer: Because Jews are the greatest opponents of their historical mission. They destroy their historical process, which should be directed toward “love your neighbor as yourself” and showing the whole world how to lead humanity to unity, including love for each other, support, and integration of all into one single society. The people of Israel must do all of this. This is a method concealed in the people of Israel and is called the science of Kabbalah. But we see that if we want to explain to the world what Kabbalah it is the Jews who attack us first. It has always been like that: Kabbalists were persecuted, imprisoned, and denounced. We are experiencing the same thing today. This only emphasizes how correct our mission is. But now it’s time to understand that this is exactly what the salvation of the Jewish people and all of humanity is. Therefore, it is possible to eradicate anti-Semitism and hatred for Israel only if we eradicate hatred toward Jews. And the Jews’ hatred of the existence of Israel itself as a state shows how much we are in a terrible state of internal destruction, how far we are from our historical mission, from what we have to do in this world. Let’s hope that gradually the time will come and we will be able to convince the Jews. And life itself will teach them what is most important—the unity between us. This is what the world needs. It does not need anything else; it is full of abundance. The only thing that is missing is a good relationship between people. And the methodology of good relations is precisely in Kabbalah, within the Jewish people. Baal HaSulam, The Writings of the Last Generation: For the work of one hour of type one, type two works two hours, type three four hours, and type four six hours. Each person is trusted with finding one’s appropriate type of work that suits one’s strength. Comment: Baal HaSulam divides the working hours into four types: for the weak, for the average, for the strong, and for the quick-witted. Each one decides for himself which type suits him. He is valued according to the program he is associated with. Answer: All this is quite relative. The matter is not in the hours, but in the potential, in the belonging, etc. Everything depends on the person’s individual characteristics given to him by the Creator, by nature. And the hours of work depend on a person. The intention to give changes us and reveals to us the upper source of filling, an infinite force. The wisdom of Kabbalah engages in changing man’s perception, in changing his internality.